Listen once more to Jimmy’s much acclaimed Comedy Radio series called ‘Jimmy’s Cricket Team’ which was first broadcast on BBC Radio 2 during the mid 1990’s. The show starred Jimmy alongside a tremendous array of acting talent including: Bill Pertwee (Dad’s Army), Noreen Kershaw (Heartbeat and Act of Grace), and fellow Comedian Peter Goodwright. 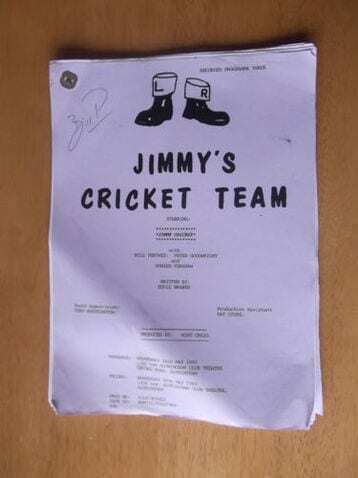 Behind the scenes ‘Jimmy’s Cricket Team’ had a formidable creative team with Mike Craig as the show’s Producer and the legendary Eddie Braben (from the Morecambe & Wise show) as the writing force behind it.